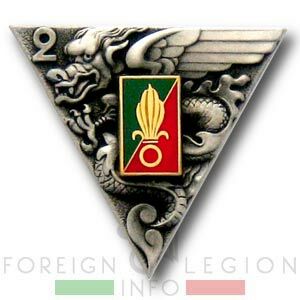 Discover the history of the 2nd Foreign Parachute Regiment (2e REP), currently the only airborne unit of the French Foreign Legion. 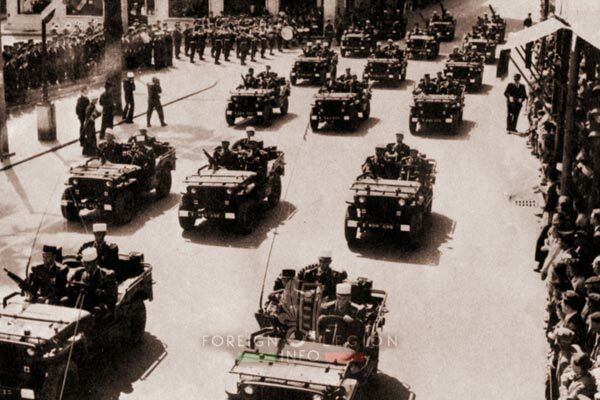 This well-known unit was organized in Algeria in late 1955. 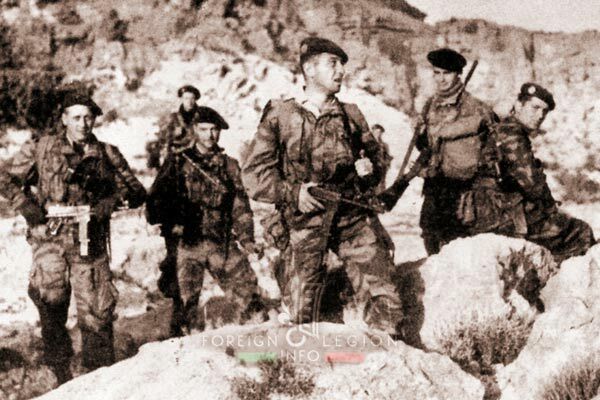 The regiment would actively participate in the Algerian War there until 1962, when the war was over and Algeria gained its independence. 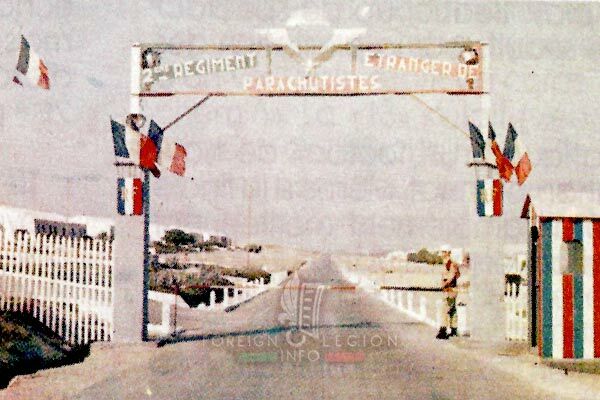 The 2e REP eventually left Algeria in 1967, as the last French airborne unit. It has been stationed in Corsica since then. 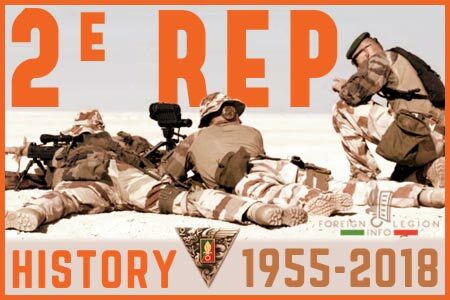 During the next decades, the 2e REP took part in several military operations and conflicts. Between the mid-1960s and mid-2010s, its men fought in Chad, Zaire, Iraq, ex-Yugoslavia, Ivory Coast, Afghanistan, Mali or Niger. They also deployed to Djibouti, Lebanon, Rwanda, Gabon, Somalia or the Central African Republic. The insignia of the 2e REP. The regiment adopted the original insignia of the 2e BEP, created in Cambodia in 1949. The insignia bears an Asian dragon representing French Indochina, with the wings symbolizing an airborne unit. It also bears the seven-flame grenade of the Legion and the Legion’s green & red colors. Algeria. 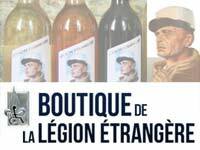 Then integral part of France and a homeland to the Legion since the 1830s. 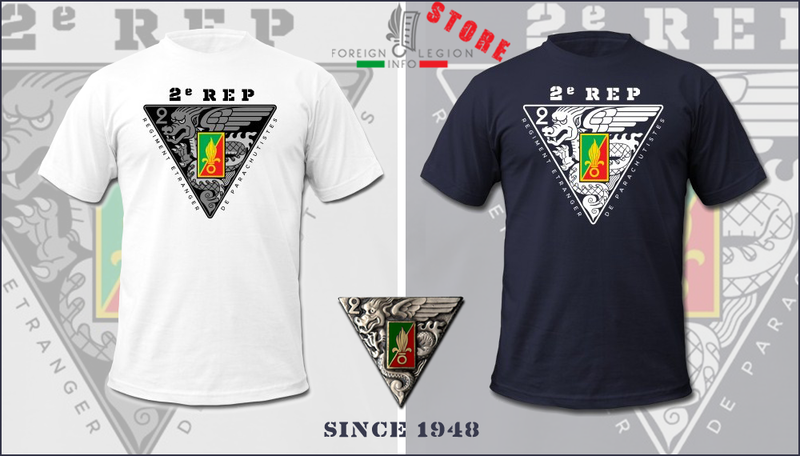 In 1956, the 2e REP conducted operations mainly around Philippeville, its garrison town or in the Constantine and Batna regions. 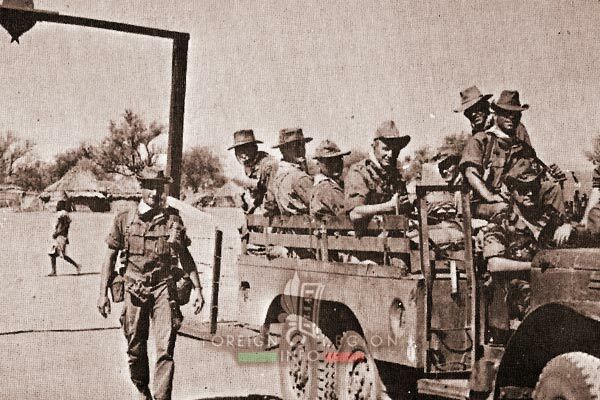 In late 1956, the regiment deployed to Tebessa, to patrol the region bordering Tunisia. The legionnaires stayed there until April 1957. Caserne de France. The barracks of the regiment situated in Philippeville, a mid-sized town and an important port city. In August 1955, the town saw a sad battle between French soldiers and rebels, who also massacred dozens of local French civilians and pro-French muslims. 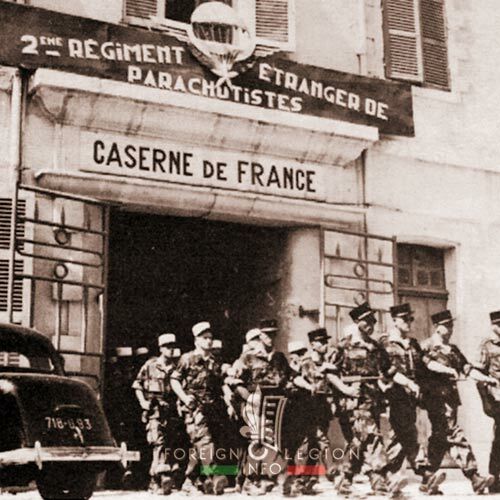 Because of that, French officials placed Foreign Legion paratroopers there to maintain order in the town (initially the 3e REP, 2e REP afterwards). 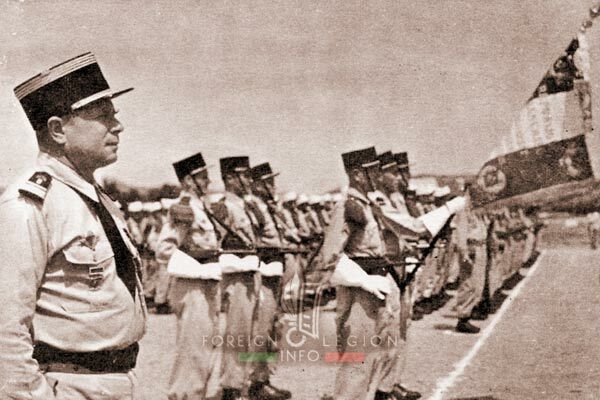 Lieutenant Colonel Alfred de Vismes (light dress, képi), the then commanding officer of the 2e REP, is reviewing the 2nd Company inside Caserne de France, early 1956. The company is presented by their commander (temporarily), Lieutenant Raymond Lalet (right). Lieutenant Lalet would be killed the next year, in March 1957. Reconnaissance Squadron (ER) of the 2e REP, early 1956. 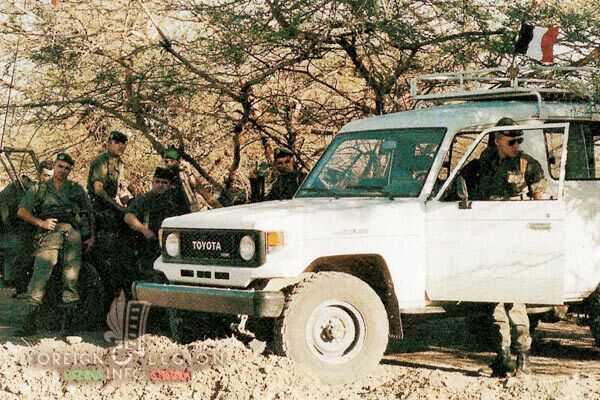 Like Combat Support Company, the unit was equipped with Jeeps. Note the non-camouflage uniform of these paratroopers. The unit might have been formed with ex-Squadron from 3e REP, using such uniforms. 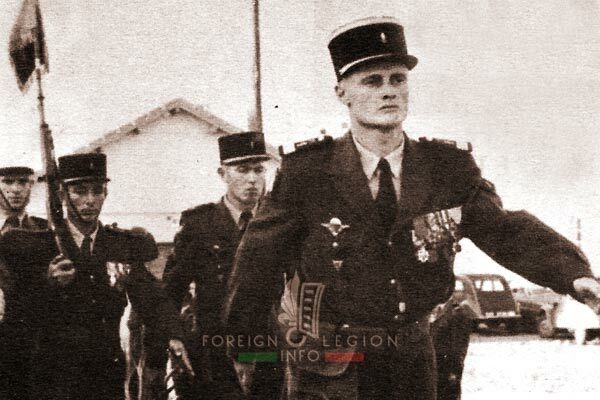 Major Georges Masselot (left), the then deputy commander and the last commander of the 2e BEP, during the ceremony to obtain the regimental flag. Note the color guard being formed with NCOs (black kepis) only. 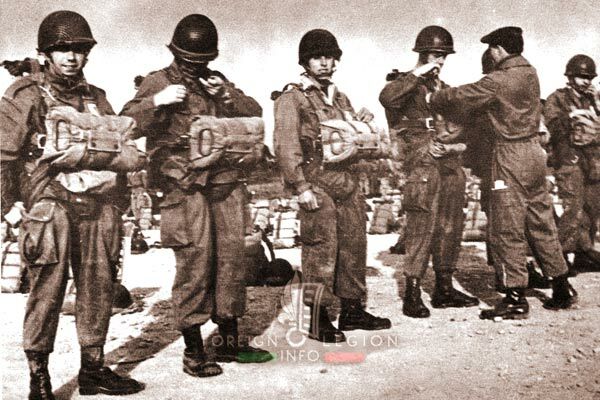 2e REP para-legionnaires ready to jump, 1956. 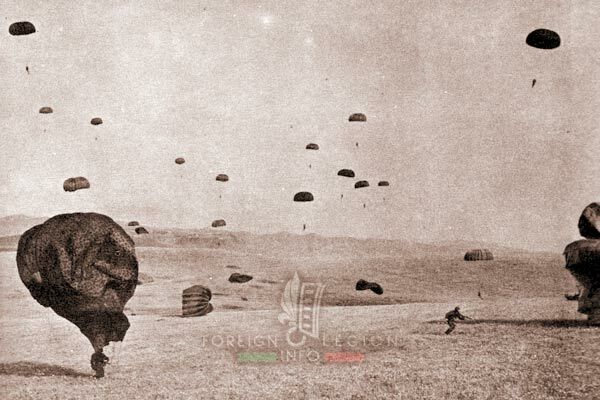 2e REP jumping over Oued Zhour, a drop zone located east of Philippeville, 1956. 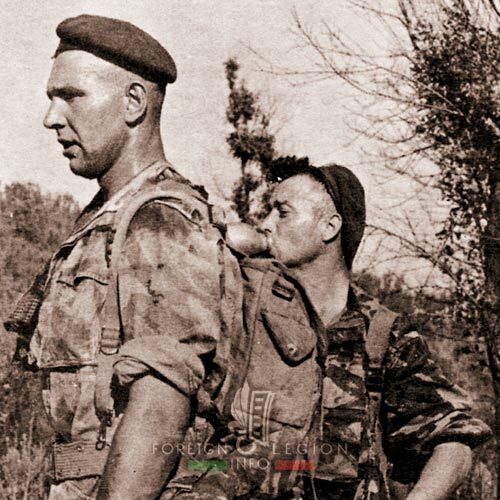 2e REP men during a military operation in the Tebessa region, late 1956. 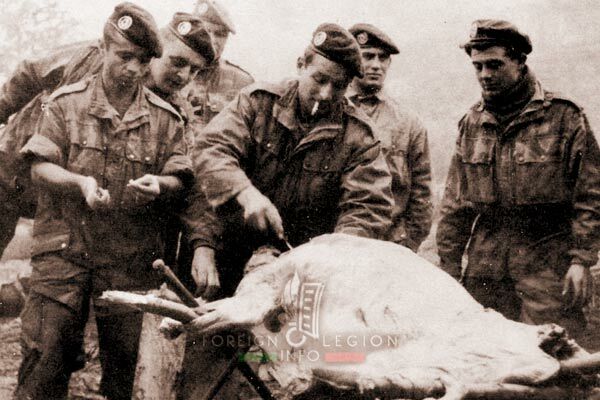 During operations, Legion paratroopers were wearing green berets, instead of standard khaki-covered kepis. 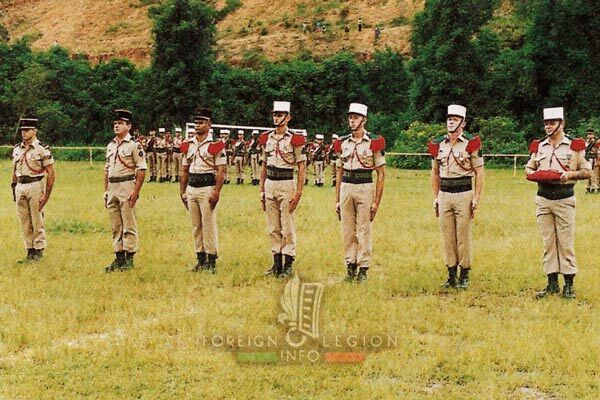 In late 1959, these berets would be adopted officially by the whole Legion. 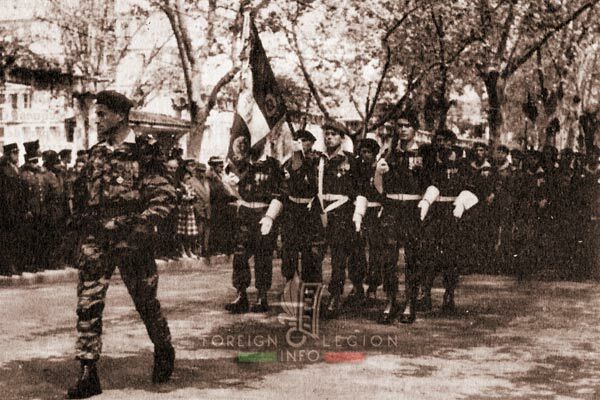 2e REP legionnaires in the Tebessa region, early 1957. 2e REP men in the El Milia region, July 1957. 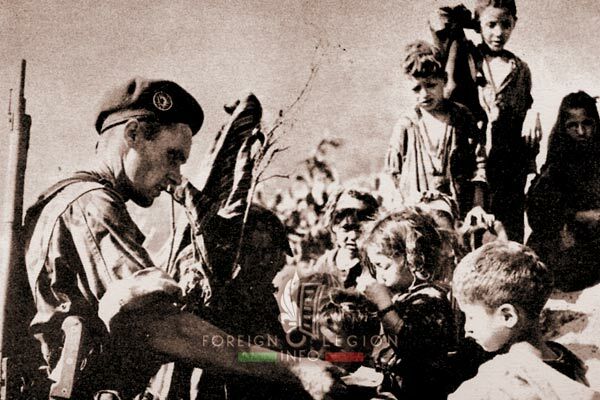 A 2e REP legionnaire being surrounded by local children in the El Milia region, July 1957. Camp Pehau, Philippeville. Situated on the outskirts of the town, alongside a beach. 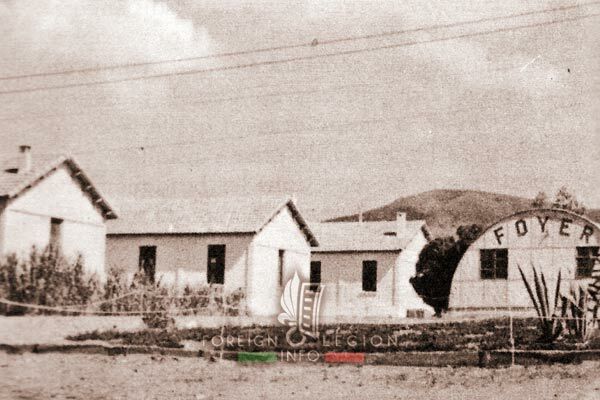 The camp became the 2e REP’s main base in late 1957. Camp Pehau, the entrance. Note that the placards were those being installed previously at Caserne de France. 2e REP men spill out of a Piasecki H-21 in the Tebessa region, November 1957. These helicopters (nicknamed Banana) became very useful during operations in large, mountainous areas of northeastern Algeria. 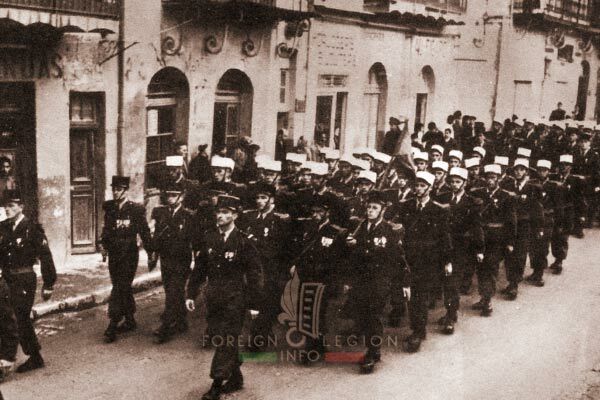 2e REP legionnaires parade in Tebessa, late December 1957. 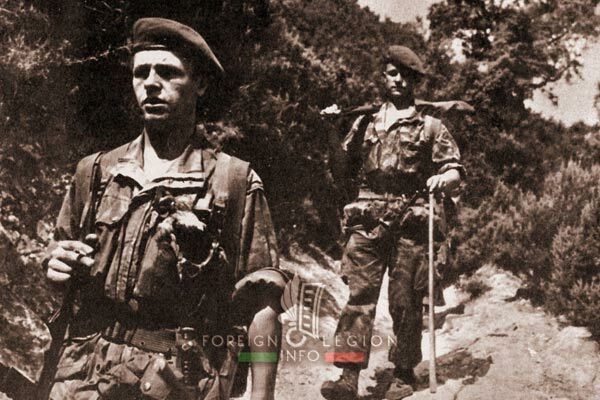 In 1958, the 2e REP conducted operations first in the El Milia and Djidjelli regions. 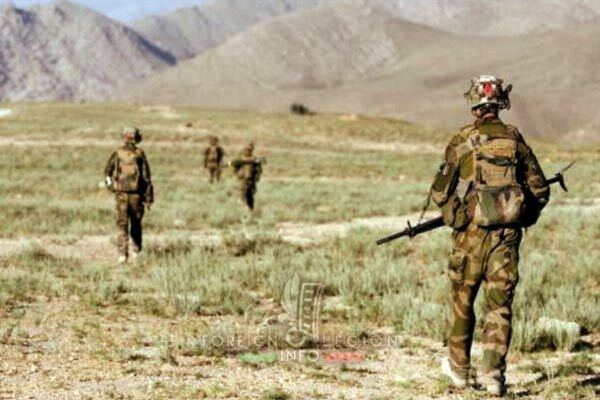 Then, several smaller operations took place in the Souk Ahras region. 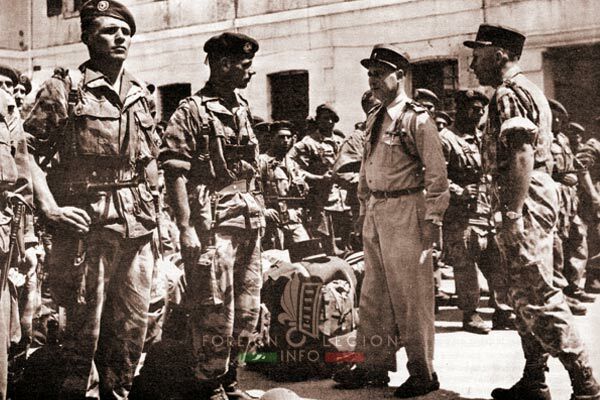 In June 1958, the regiment deployed to Guelma, to patrol the region between Guelma and Souk Ahras until November. 2e REP men in the El Milia region, early 1958. If needed, they make their time on operations a little bit better. 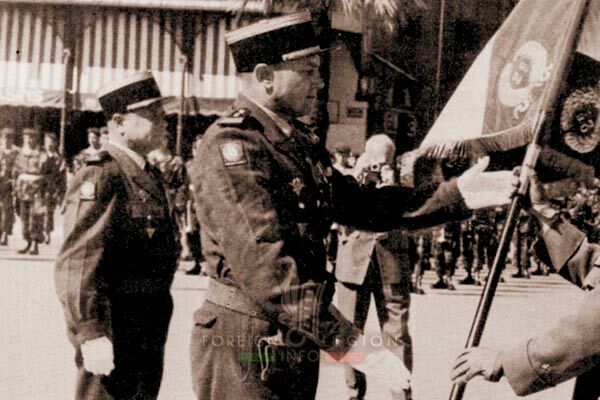 Colonel Jacques Lefort, a new commanding officer of the 2e REP (since April 1958), receiving the regimental flag. Behind him, Major Georges Masselot, his deputy. Major Masselot dreamed about being promoted to Lt Colonel and appointed as the head of the regiment. However, his pleas went unheard. Moreover, due to tensions between both officers, Major Masselot had to leave the 2e REP (having served with the unit for four years already) and the Legion, which he joined in 1936 as a young French officer. Camerone 1958. 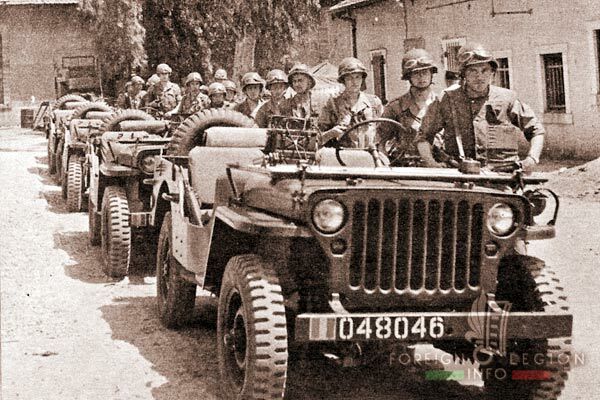 Jeeps of the Combat Support Company (CA), 2e REP parading on Camerone Day (commemorating the Battle of Camerone) in Philippeville, April 30, 1958. 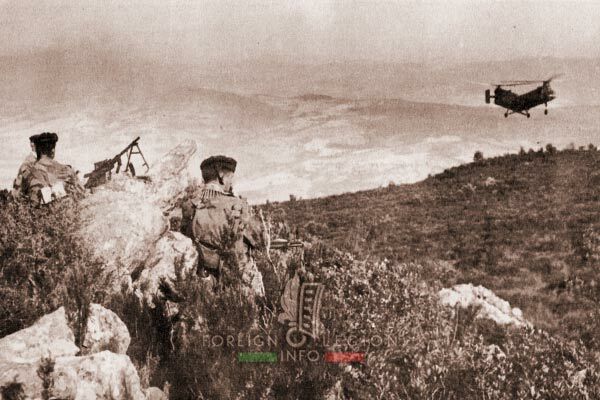 2e REP legionnaires observing a sector in the Guelma region, 1958. 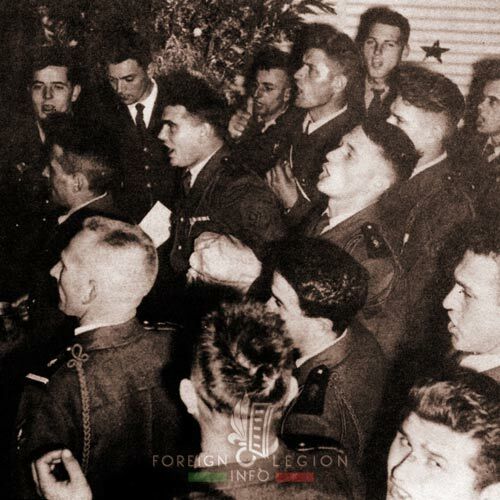 Saint Michael Day 1958. 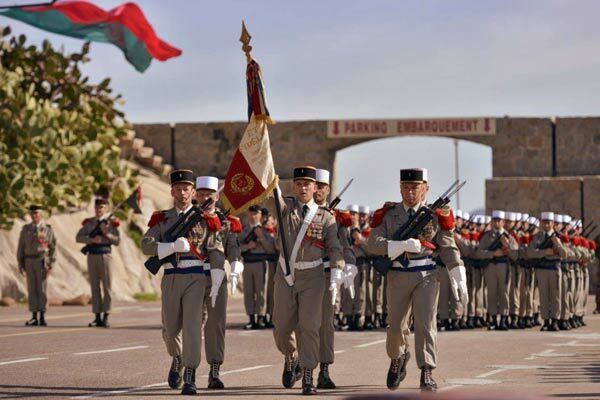 2e REP men parade in Guelma on September 29, to commemorate their patron, Saint Michael. CA company of the 2e REP in the Guelma region, late 1958. They are shelling rebel positions with their 120 mm BRANDT 1951 mortars. Noel 1958. 2e REP legionnaires celebrating Christmas Eve, the second most important holiday in the Legion. Captain Pierre Bourgin. A company commander with the Motorized Company (CP, ex-Squadron), 2e REP killed in action on March 1, 1959 in the Souk Ahras region. The very first officer of the regiment with such rank being killed. A very popular officer among his men. 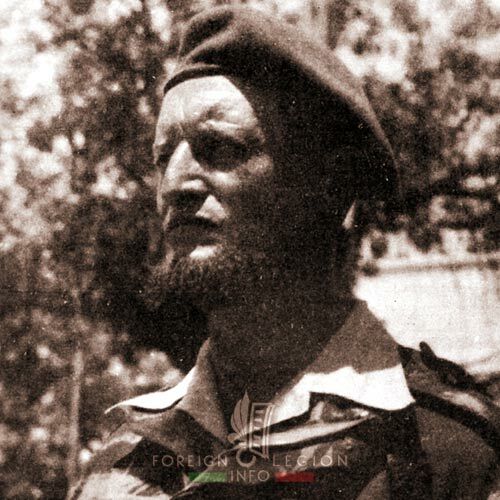 As a member (later also a provisional commander) of the 3e CSPL (1955-56) in the desert of Libya, he chose nickname Von Palaïeff and started to write his own poems for Kepi blanc, the Legion’s official monthly magazine. Born in 1924, a commando leader in Indochina, wounded. He gained eight mentions in dispatches. 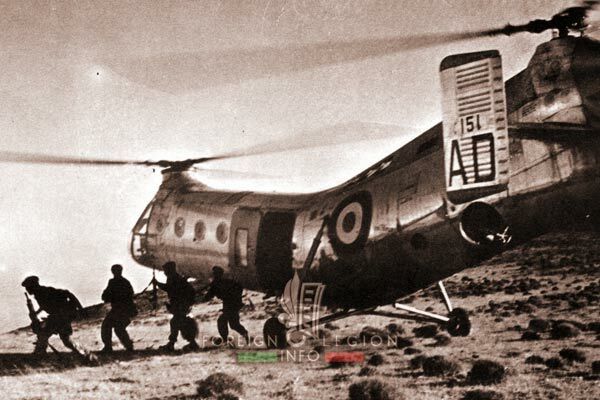 In early 1959, the 2e REP conducted operations in the Guelma and Souk Ahras regions. In May-June 1959, the regiment served around Bone. Then, it moved to the Djidjelli region, where the 2e REP would stay until May 1960. An operation took place also near Bougie in September 1959. 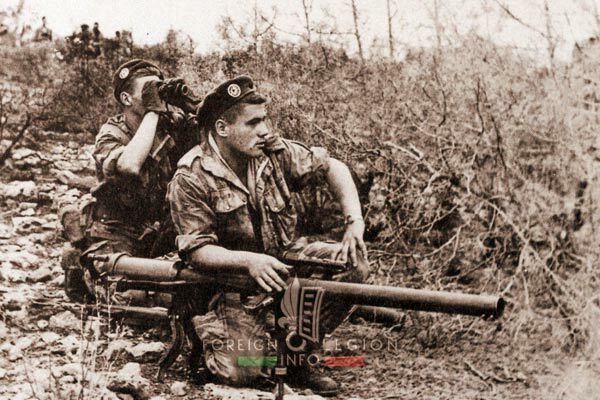 A 2e REP legionnaire with his M20 Recoilless Rifle (called Canon 75 SR in France) during an operation in northeastern Algeria, 1959. 2e REP men supported by a tank during an operation close to Bone, 1959. Both REPs in action. 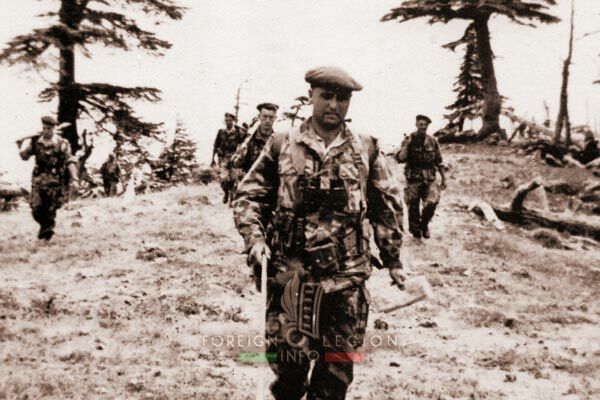 A very rare photo showing the commanders of both Legion paratrooper regiments during an operation in Algeria. Colonel Jacques Lefort (képi), the head of the 2e REP and Lieutenant Colonel Henri Dufour, the head of the 1er REP. 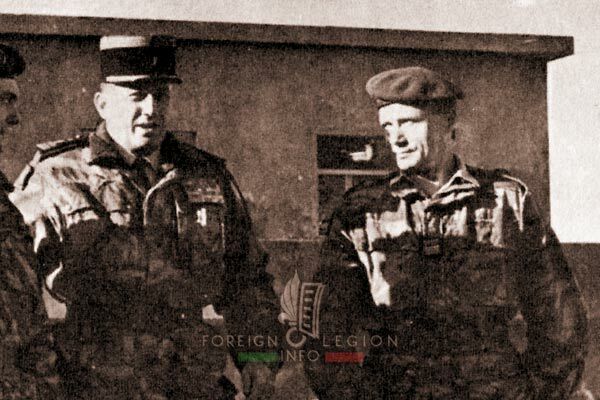 Both REPs met together during Operation Turquoise in the Djidjelli region, in November 1959. Lieutenant Colonel Pierre Darmuzai. In late March 1960, he took command of the 2e REP. The only officer who led all the three main airborne units of the Legion. 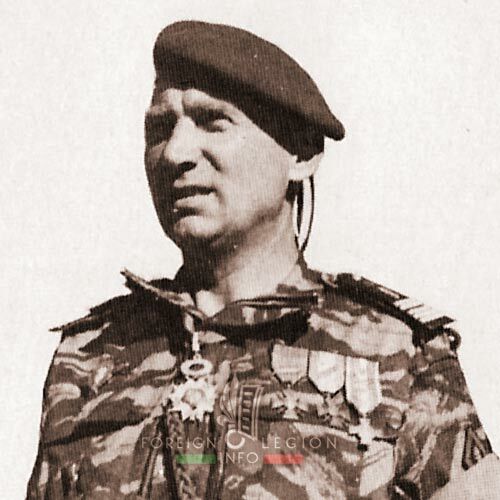 In 1948, he led the very first parachute company created within the Legion in Algeria. A year later, he formed and led the 3e BEP. In 1951-52, he commanded the 1er BEP in Indochina. In 1955, he returned back to the 3e BEP and reorganized it into the 3e REP. In early 1959, he joined the 2e REP to serve as a deputy commander. Because of sad events in 1961, he had to leave the regiment and, later, the Legion. 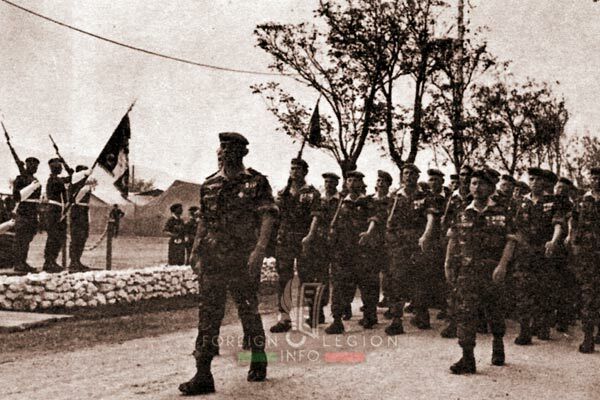 The 2e REP parade behind Major Bernard Cabiro, then new deputy commander of the regiment, during the Change of Command ceremony in Djidjelli, March 31, 1960. Note the color guard wearing an “operational” dress uniform with berets instead of kepis. Captain Jean Planet, then commander of the Combat Support Company, killed on April 19, 1960, in the Djidjelli region. He became the second and last company commander of the 2e REP killed in action in Algeria. Born in 1927, two times wounded during the Battle of Dien Bien Phu, six mentions in dispatches. 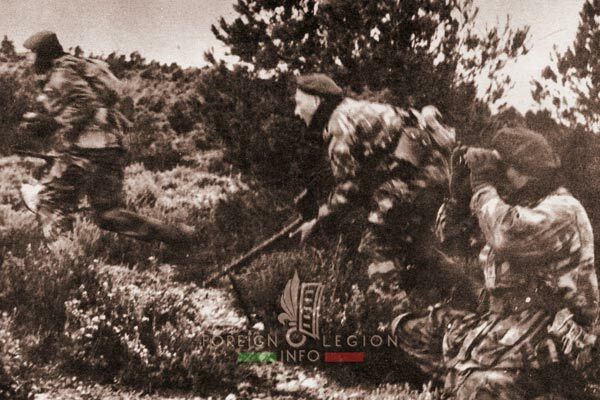 2e REP legionnaires during an operation in northeastern Algeria, 1960. Between January and August 1960, the 2e REP operated in the Djidjelli and El Milia regions. Since September, the regiment would be deployed to Khenchela to operate in the Aures Mountains, situated west of this town. 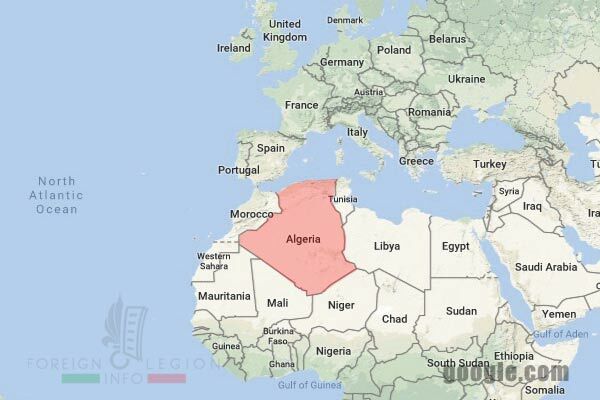 In late December, the 2e REP moved to Tlemcen in northwestern Algeria. The unit would stay there for a month. 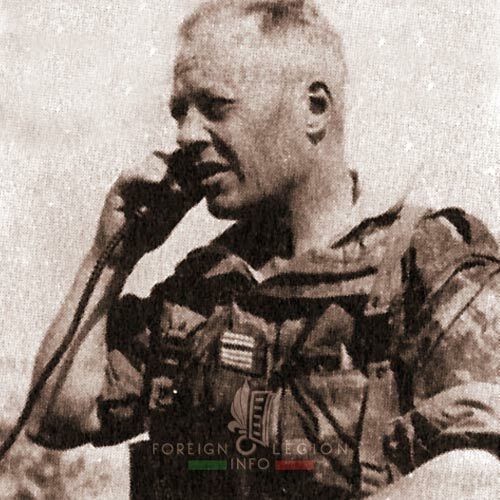 Lieutenant Colonel Charles Chenel, 1961. Lt Colonel Chenel took command of the 2e REP in May 1961. A well-known and respected officer. Nicknamed Zatopek by legionnaires in the 1950s, for his long and quick marches. He had never served with a parachute unit before. However, he did well. 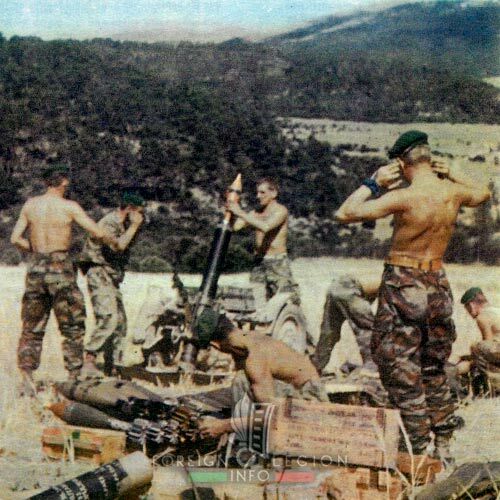 2e REP men during an operation in northeastern Algeria, 1961. Equipment inspection at Camp Pehau, July 1961. 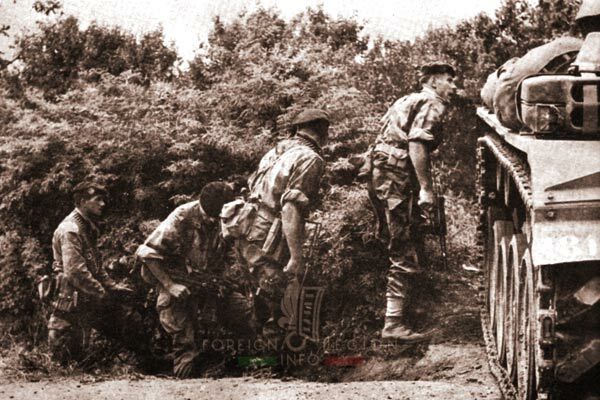 An operation in the Constantine region for the 2e REP, 1961. 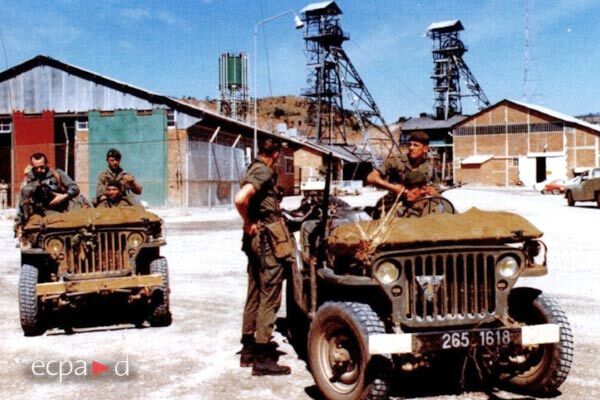 2e REP legionnaires during one of their last military operations in Algeria, December 1961. Telergma. In mid-March 1962, a few days before the end of the conflict, the 2e REP left Camp Pehau (1956-62) to be based at Telergma, a military base with an important airfield used by the U.S.A.F. in the 1940s, during WWII. Camerone Day 1962. 2e REP legionnaires parade at Telergma. A rare image from inside the camp of Telergma, 1962. 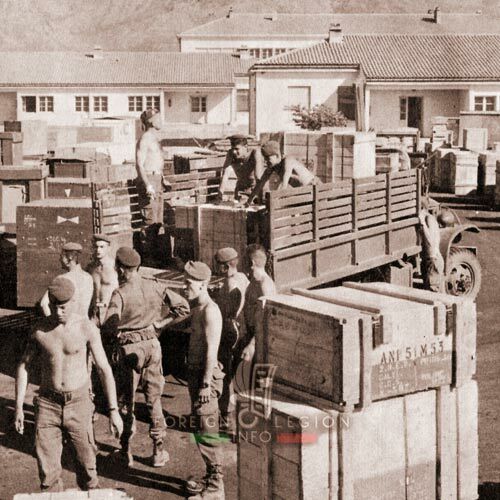 The installation of the 2e REP’s Compagnie de Base (Logistics Company) at the camp of Telergma, 1962. Camp Commandant Segretain. 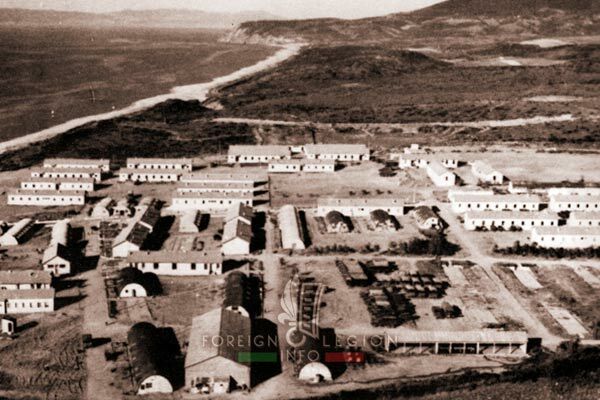 The new camp of 2e REP located at Bou Sfer, close to the then large French joint military base of Mers El Kebir in nortwestern Algeria. The whole camp was built by 2e REP legionnaires between 1962-63. 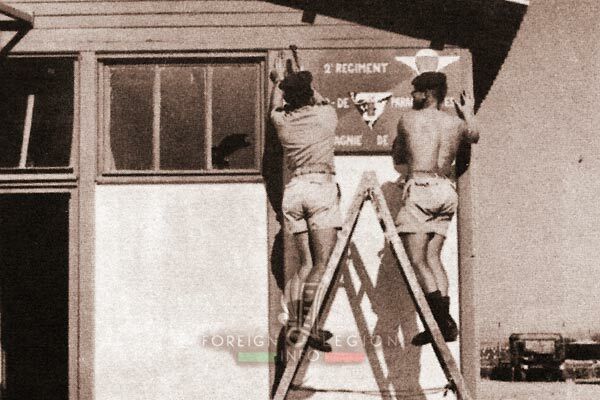 The entrance of the 2e REP’s Camp Commandant Segretain, in the mid-1960s. 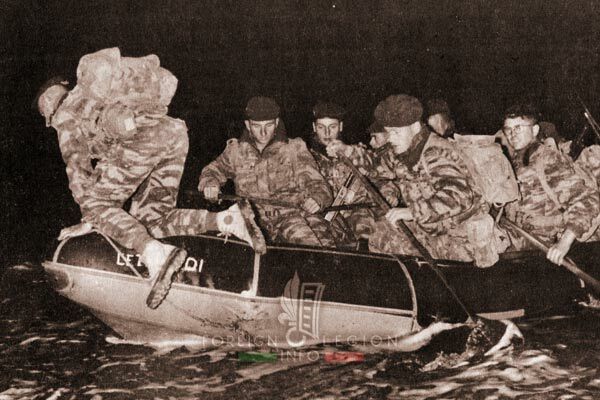 Legionnaires of the 3rd Company, 2e REP during a night training with Zodiacs near the naval base of Mers El Kebir, 1963. 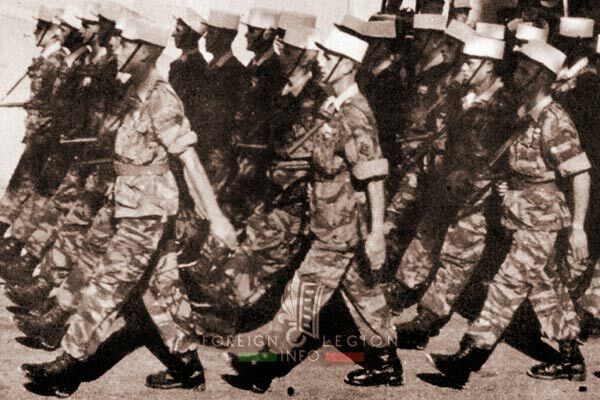 After the end of the Algerian War, the company became an Amphibious Company (its specialization) of the newly reorganized regiment. ENTAC. 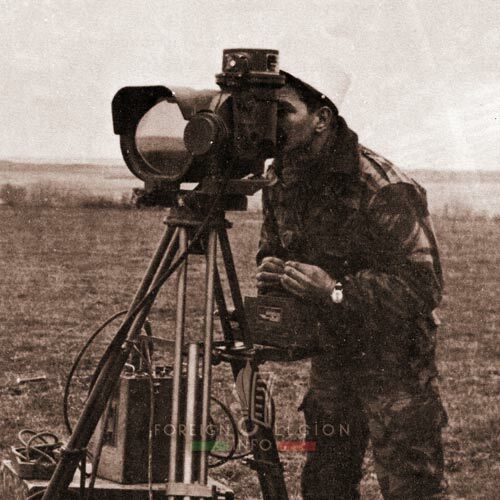 A 2e REP legionnaire operates the ENTAC anti-tank system during one of the new military courses, 1963. The courses helped to the modernization of the regiment. In the 1970s, the ENTAC would be replaced by MILAN. 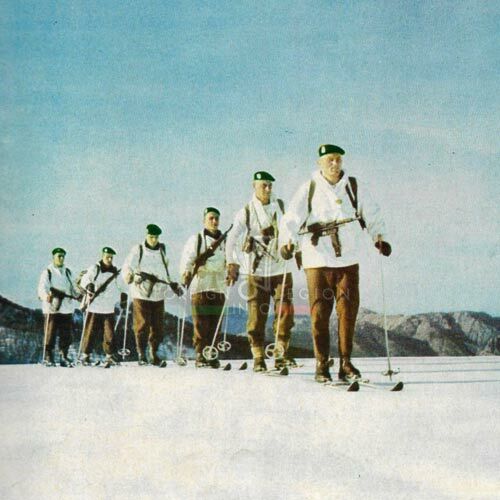 2e REP legionnaires of the 2nd Company skiing in Corsica, 1965. 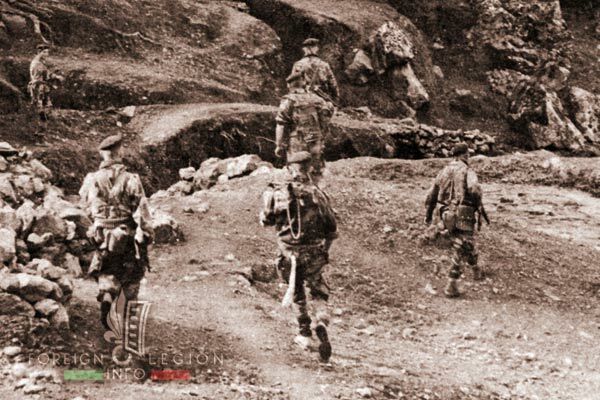 After the 1963 reorganization, the company became a Mountain Company of the regiment, trained in mountain warfare. However, between 1964-67, all 2e REP legionnaires were being deployed to Corsica to familiarize with the new terrain and to be able to ski. 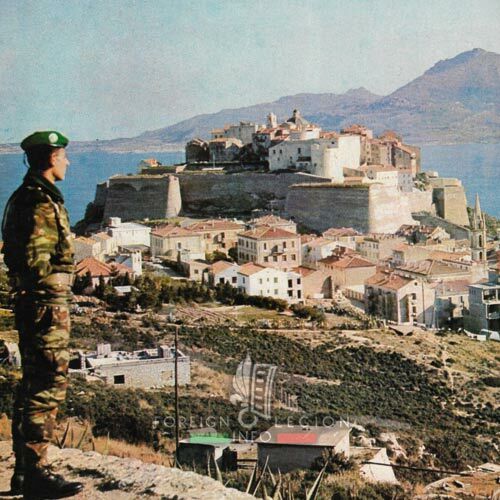 A 2e REP legionnaire looking at Calvi, Corsica, 1965. At the time, the regiment was still based in North Africa. 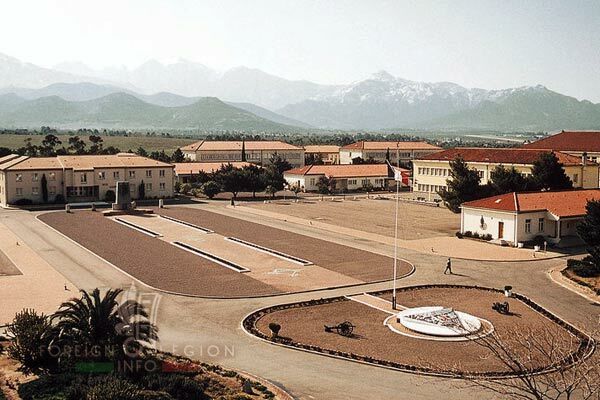 However, the Parachute Training Center (CES) of the 2e REP was stationed near Calvi since February 1964, reinforced by a 2e REP company rotating every three months. 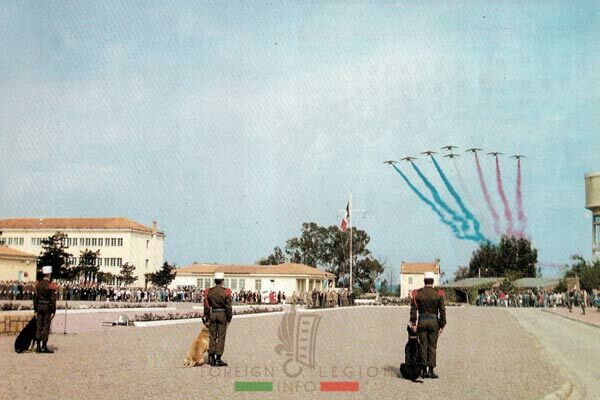 2e REP legionnaires arriving at their new camp located near Calvi, Corsica, late May 1967. 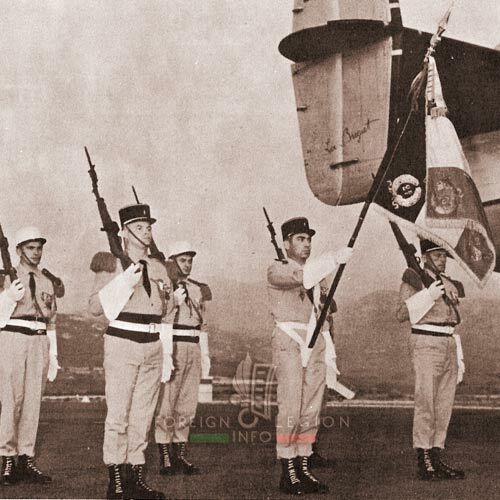 2e REP’s regimental flag arriving at Calvi, Corsica, June 15, 1967. 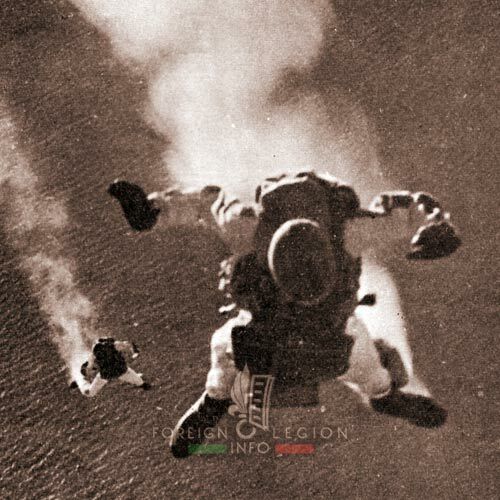 2e REP commandos, when jumping over Calvi from high altitude, August 1967. Officially called Operational Jumpers (Chuteurs Opérationnels), then nicknamed Pathfinders; members of the Reconnaissance Platoon, CAE. They would become CRAP (Research Commandos) in 1982 and GCP (Commandos Group) in 1999. 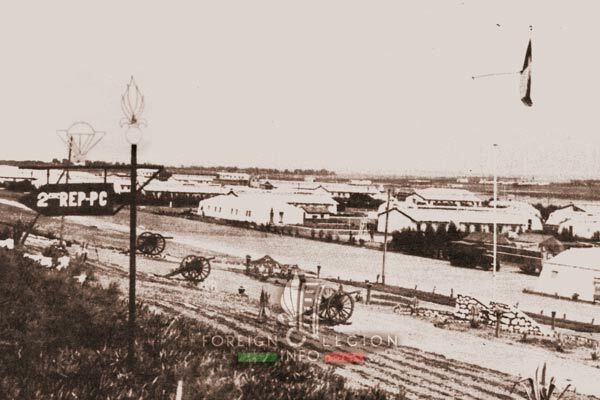 Camp Raffalli. The home to the 2e REP since June 1967. 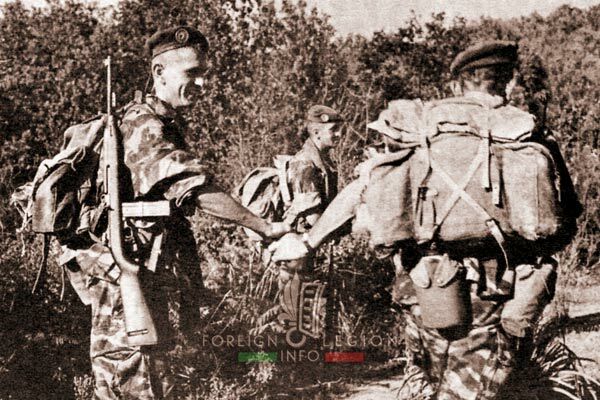 Until April 1968, it was known as Camp Fiume-Secco. 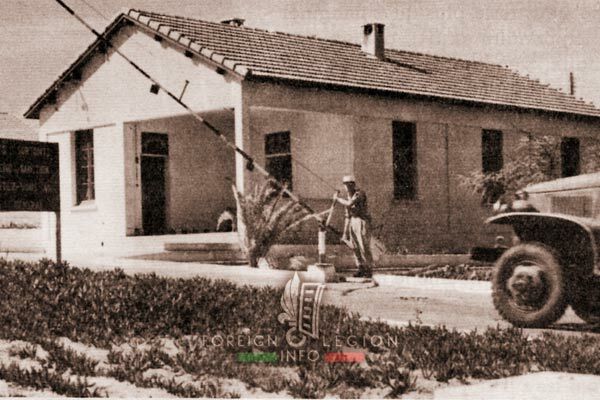 Build in 1958, the camp was used by the 1er BPC (Shock Parachute Battalion) until 1963. 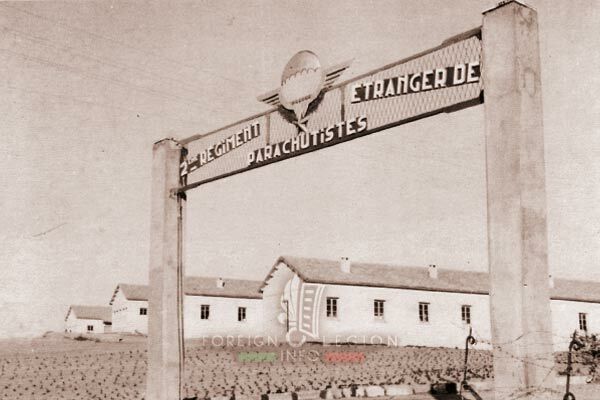 In early 1964, a parachute training center of the 2e REP was established there. Niger. A legionnaire of the 2nd Company, 2e REP in Niger (West Africa), during Exercise Damergou, February 1968. It was the first experience of the 2e REP with the real, sub-Saharan Africa. Operation Limousin in Chad, 1969. 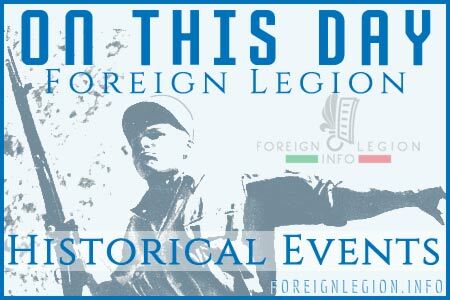 The first military actions for the Legion since 1962. 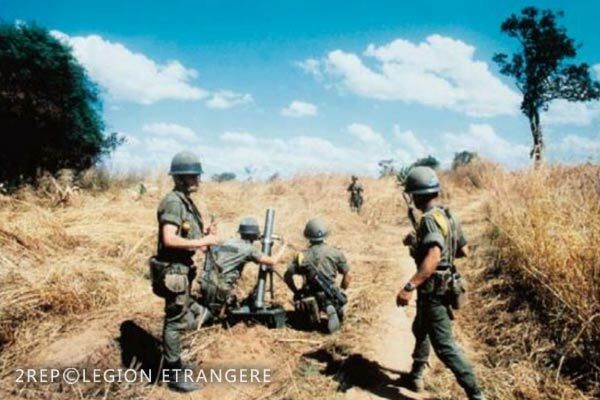 2e REP men participated in the operation between 1969-70. Mounted Platoon, 2e REP in Chad, 1969. 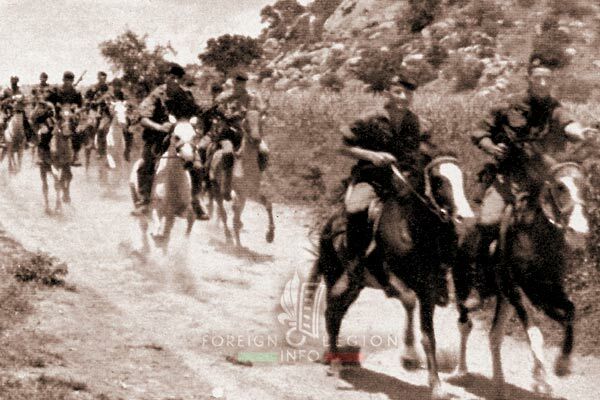 In the very rare photo, para-legionnaires of Lieutenant Pietri‘s Mounted Platoon with their horses during a patrol. They were very effective due to their mobility during the local rainy season. The 2e REP cavalrymen served as a reconnaissance unit. However, they also fought with rebels, like in February 1970. 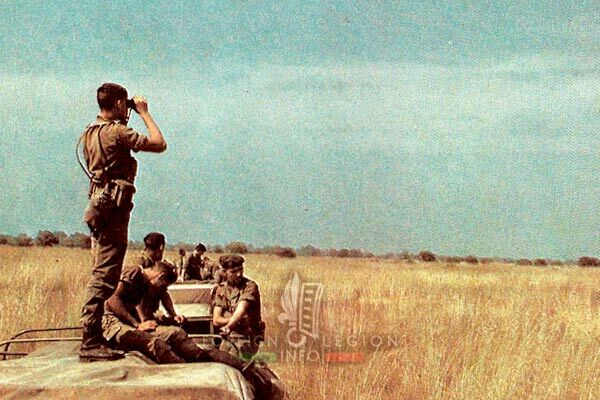 Battle of Kolwezi, May 1978. Mortar Platoon of the 2e REP during an action at Kolwezi. The successful operation popularized the regiment worldwide. The 2e REP’s Jeeps patrolling around Kolwezi, late May 1978. Heavy Mortar Platoon, 2e REP, early 1980. 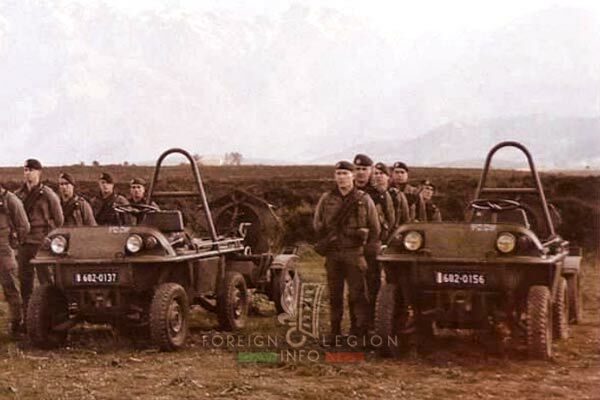 The platoon was freshly equipped with LOHR Fardier 4×4 vehicles, designed for airborne units as “motorized mules”, to pull 120 mm movable mortars. The 2e REP used these small vehicles until the late 1990s. Note the legionnaires having already been equipped with FAMAS rifles. 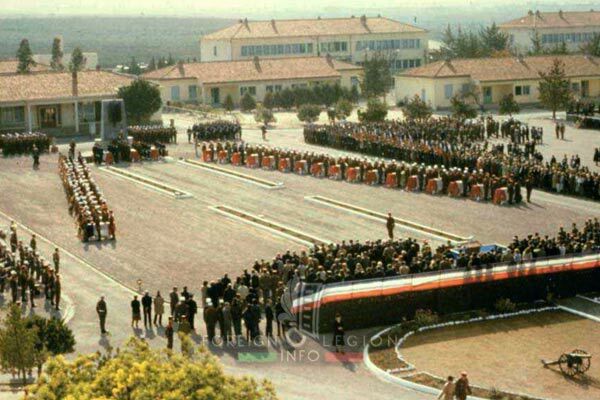 Mont Garbi Accident – Paying homage, February 12, 1982. At Camp Raffalli, the 2e REP and local authorities + civilians pay homage to Captain Philipponnat and his 26 legionnaires from the 2nd Platoon, 4th Company killed during the aircraft accident in Djibouti. Operation Epaulard in Lebanon, August-September 1982. 2e REP legionnaires maintain order in Beirut (the capital) to prevent clashes between belligerent sides of the then ongoing civil war. 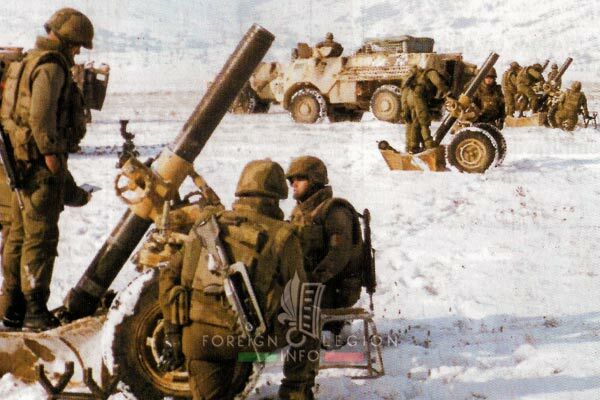 International forces remain in Lebanon even today (2018). 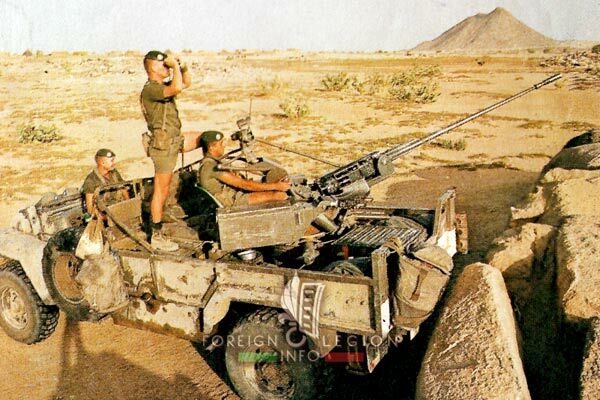 Operation Manta in Chad, 1984. An anti-aircraft SADAA element of the Reconnaissance & Support Company (CEA), 2e REP equipped with a 20 mm cannon fixed on a VLRA 4×4 truck. The little-known anti-aircraft SADAA platoon disappeared in the early 1990s. Central African Republic in late 1987. Legionnaires of the 3rd Company, 2e REP patrolling near the border with Sudan. Camerone 1988. 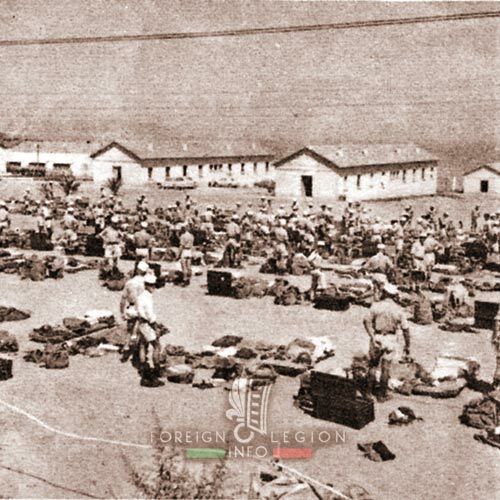 The Camp Raffalli during 1988 Camerone Day, April 30. Note the dog handlers from Dog Platoon, 1st Company, 2e REP.
Music Band of 2e REP in winter 1989-90, at the regiment’s mountain chalet of Vergio, Corsica. 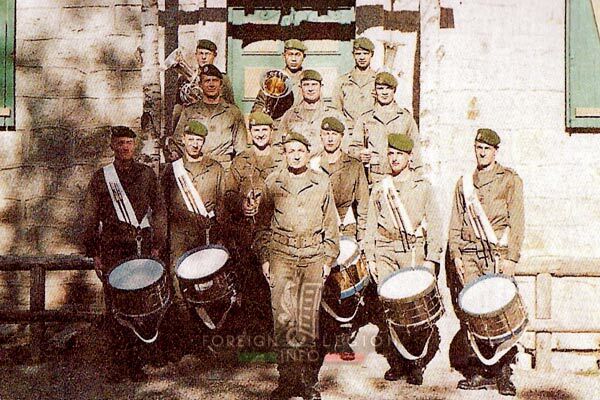 The then Music Band was assigned to the CEA and was formed with legionnaires of the anti-tank Milan Platoon. Created in Algeria in May 1964 by adopting the musicians of the dissolved 4e REI, the Band would disappear in the 1990s. Chad, December 1990. 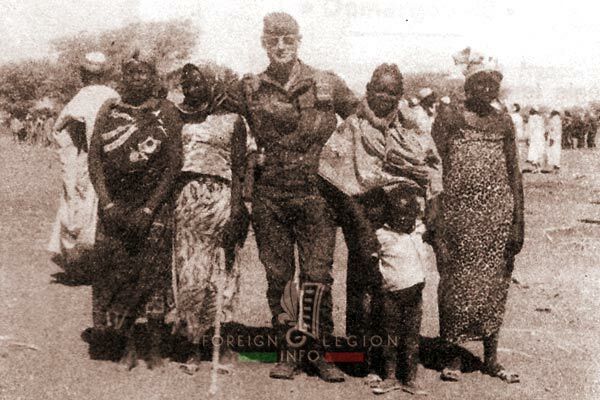 2e REP legionnaires from HQ Company during a less-known operation in Chad, in support of French nationals and French institutions. Libyan prisoners repatriated to Libya, December 1990. 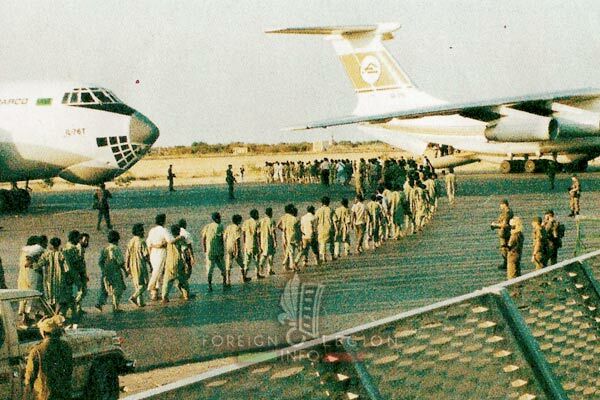 2e REP legionnaires supervising the repatriation of Libyan prisoners during a little-known operation in Chad. These Libyans were imprisoned mainly in 1986-87, due to their military support of local rebels. Iraq, February 1991. 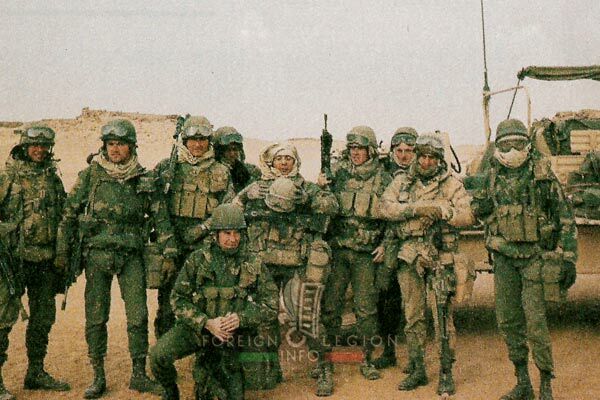 2e REP commandos during Operation Daguet (part of the Gulf War). 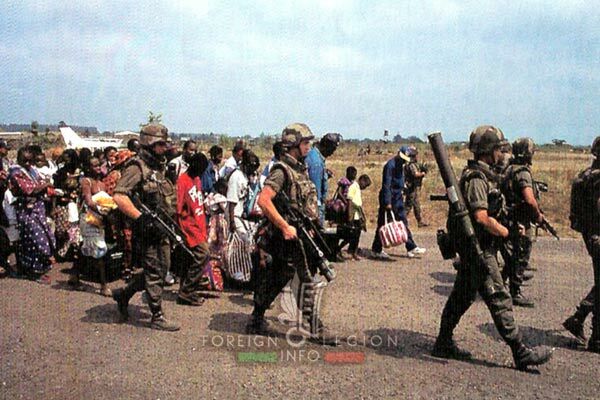 Camerone Day in Rwanda, April 30, 1991. In the rare photo, 2e REP legionnaires from 4th Company celebrate Camerone Day in Rwanda, during the ongoing Operation Noroit. Mogadishu in Somalia, December 1992. A 2e REP legionnaire from 3rd Company on a checkpoint in the capital of Somalia. Behind him, an AAV-P7 of the US Marines. Bosnia – Sarajevo, 1993. 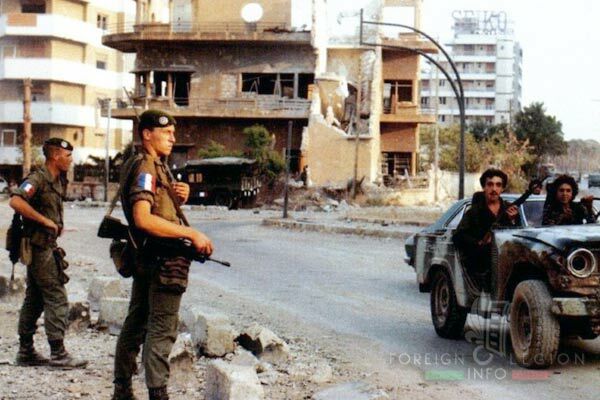 2e REP legionnaires during a sad and frustrating mission in Sarajevo, Bosnia. 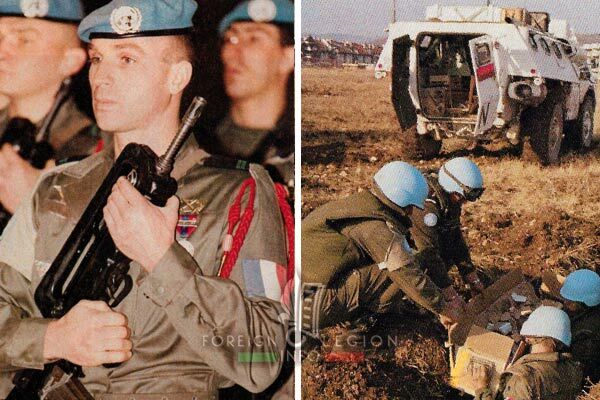 Note the blue berets and helmets of the UN peacekeeping forces. Several legionnaires burned their blue berets in protest against the UN policy of not using firearms when being under fire. In Sarajevo, the para-legionnaires were equipped with VAB armored carriers (in the right picture), for the first time. However, the regiment would not receive them until 1999. Gabon, 1994. 2e REP legionnaires during the local jungle commando course. Champs-Élysées, Paris, July 1995. 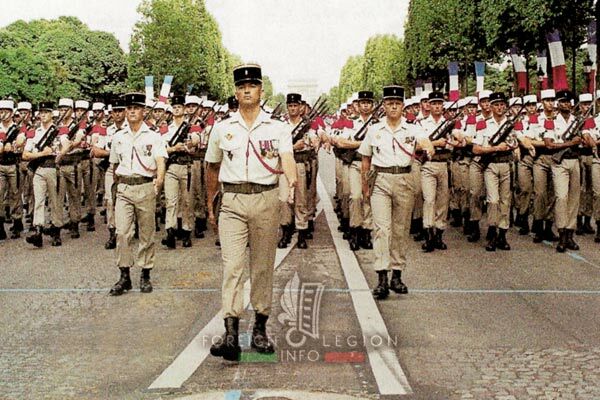 2e REP legionnaires marching down the avenue during the famous Bastille Day Military Parade. IFOR in Bosnia, 1996. The Heavy Mortar Platoon (SML) of the CEA, 2e REP during the IFOR mission in Bosnia. This time, the legionnaires wore their helmets and were allowed to use even mortars. And they used them well. 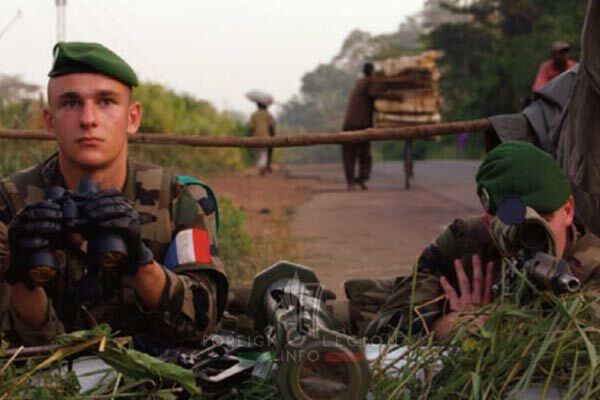 Operation Pelican in Zaire, 1997. 2e REP legionnaires took part in several clashes with local rebels. A commando would be killed. Kosovo, 2000. Another delicate mission for 2e REP warriors. In Mitrovica, they had to separate two angry sides of local European inhabitants, without using firearms. Ivory Coast, 2002. Men of the 1st Company during Operation Licorne in West Africa. Afghanistan, 2011. 2e REP legionnaires from 2nd Company patrolling in the Surobi district. 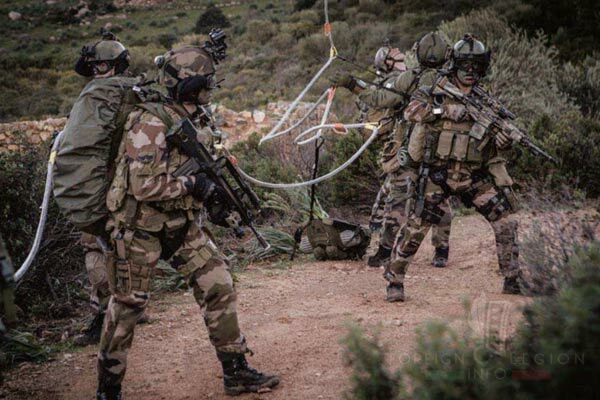 GCP commandos, mid-2010s, during an exercise in Corsica. To be even allowed to the GCP selection, a candidate in full kit has to run 30 km in less than 4 hours. 50 years at Calvi, 2017. The 2e REP color guard during the parade to celebrate 50 years of the regiment’s presence at Calvi. Operation Barkhane, 2018. 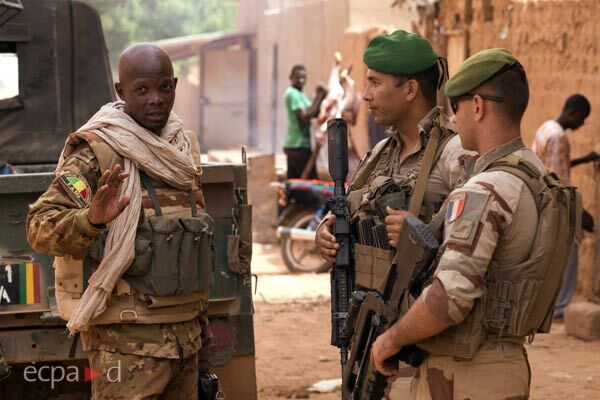 2e REP legionnaires speaking with a Malian soldier during a patrol in Mali. 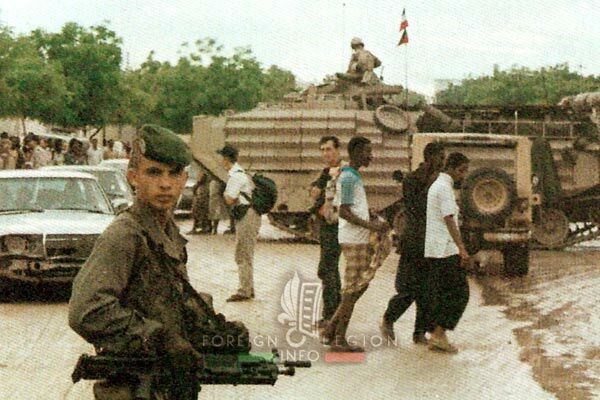 Note the legionnaire in the center being equipped with the HK 416 F rifle. Did you enjoy the article? 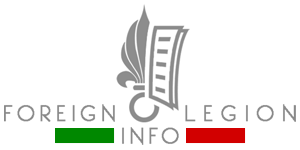 You can support us through our online Foreign Legion Info Store. By purchasing any item in our store, you keep this website running. Thank you!